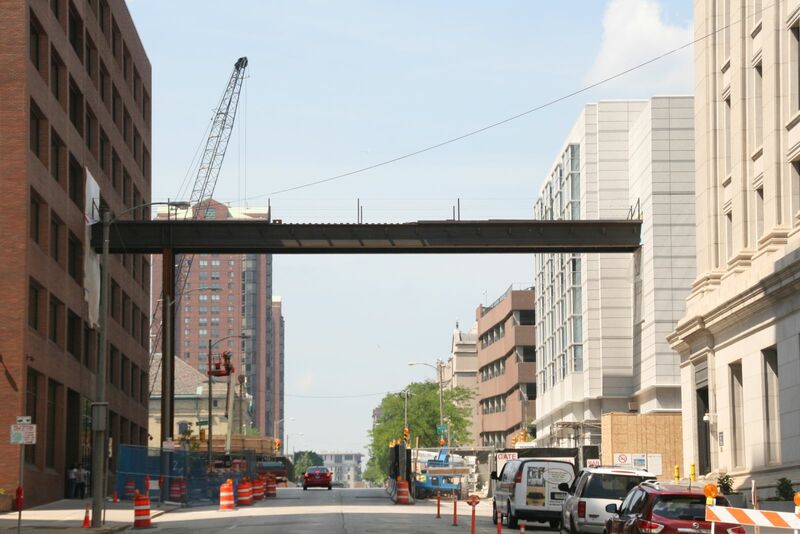 The first piece of the Van Buren St. skywalk is in place. Photo taken June 10th, 2016 by Jeramey Jannene. All Rights Reserved.